For example, if your schedule is so busy that a prospective new patient must wait 4-5 weeks before his or her first visit, the patient will probably look for a different practice. Perhaps the biggest barrier is the mood of your practice. You and your staff are not “in the zone” or not all that cheerful. Patients can sense this and are attracted to practices with honest enthusiasm. Fortunately, all barriers to new patients can be handled. Everyone has room for improvement. Your happy patients can promote you to more people. Your life-time accomplishments can be better described. The services you offer can be more broadly known. As you know, your web presence now makes or breaks you. Most patients use the internet to better understand their conditions, to consider their practice choices and to learn what others have to say about you. Even if a potential patient was referred to you, he or she still looks for you on the internet. If this patient cannot find much about you, he or she is baffled. Even worse, the patient learns about other practices. You could easily spend thousands in advertising with no new patients. We see this all the time. Maybe the type of ad, the wording or the pictures work well in other areas, but not in your area. Maybe it works for other types of businesses or practices, but not yours. Maybe it really never worked before and you are just experimenting. 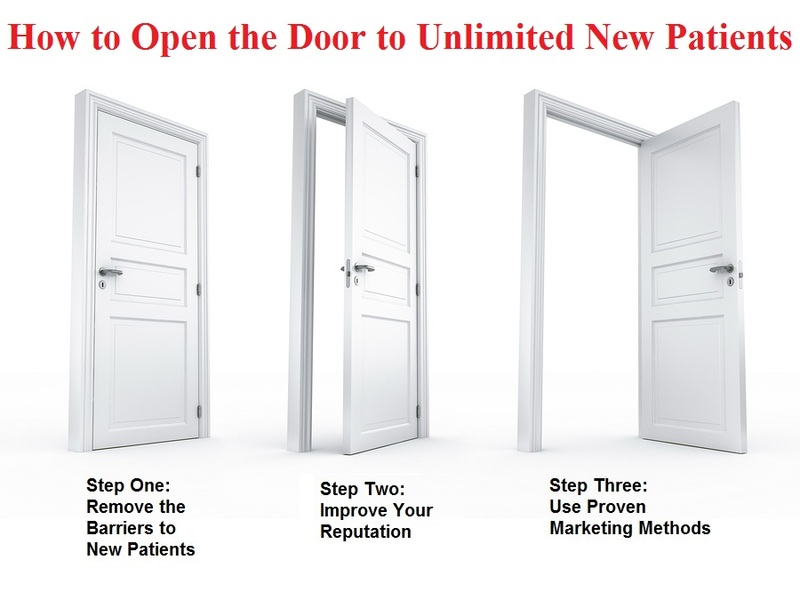 Fortunately, when you find marketing methods that work for you, you take control of your new patients! You can receive a promotion analysis from an ExecTech consultant regarding all three elements: barriers, your reputation and your marketing methods. During the analysis, your consultant asks you several questions and follow-up questions. He or she then gives you detailed information and recommendations of how you can increase your flow of new patients. The analysis and consultation meeting is $149 and conducted by telephone, at your convenience. You have nothing to lose and thousands of new patients to gain. To schedule the consultation, contact the ExecTech office nearest you or complete the form below.